"'Less is more' has been a classic nugget of received wisdom since the phrase was first coined by Benjamin Franklin in 1771," Dr. Fritz Pohl, a researcher at GLIBB, said, "when one of Franklin's potential mistresses noticed his baldness. Our study, however, is the first time anyone ever actually set out to scientifically prove or disprove the axiom. The results were, to say the least." Dr. Pohl said the research team tested the Less is More theory using a weighted series of analytical tools, starting with the simple measurement and comparison of the relative quantities of various liquids and solids. "We filled a jug with water and weighed it," Dr. Pohl said. "It weighed about two pounds. Then we poured out half the water and weighed it again. Guess what? One pound -- about half of our original result. That's less. If the axiom had had any validity, we would have expected to see the reverse." "Our second test involved placing trays of doughnuts on the table in the coffee room," Dr. Pohl said. "We first set out a box of a dozen, then observed the reactions of a six-member group of research subjects. After two coffee breaks, all twelve doughnuts had been eaten. Our post-coffee-break questionnaires indicated the subjects were 'full', 'sleepy' and 'covered with powdered sugar', but generally cheerful and contented." In a follow-up test, Dr. Pohl and his team set out a tray containing only three doughnuts, all of which were eaten by a single test subject during the first coffee break. "Five of our subjects later reported their mood as 'hungry', 'irritable', and even 'homicidal', while the sixth subject slept through the interview," Dr. Pohl said. "By virtually any interpretation of the phrase, we would conclude that, in the case of doughnuts, less isn't more. More is more. Yet another nail in the theory's coffin." Dr. Pohl said the team then expanded their research to more complex arenas, including art, architecture, language, fashion, and haute cuisine. 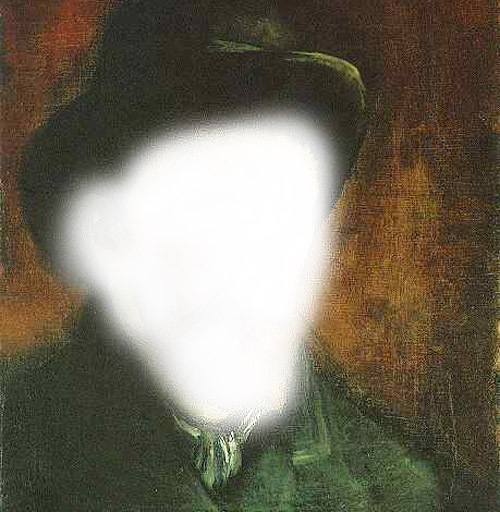 "We borrowed one of Van Gogh's self-portraits from the Van Gogh Museum in Amsterdam," Dr. Pohl said, "and erased Van Gogh's face from the painting, using an industrial cleanser. We then had three respected art critics offer their opinions of the 'lessened' version. I think it's safe to say they didn't like it. One of them stabbed me with a ballpoint." For GLIBB's linguistics test, the team decided to remove 30% of the letters of the alphabet from their communications, on the theory that "less letters would make more better communication." "Tat dndt wk t wll," Dr. Pohl said. "N n knw wht w wr tlkg abt." "Two exceptions to the theory's failure were the areas of fashion and cuisine," Dr. Pohl said. "We found that in both cases, the price of an article of clothing or plate of food was almost perfectly inversely proportional to the quantity of material, in the case of clothing, or of food, in the case of food. Unfortunately, our grant money ran out before we could pursue this angle to the extent we would have liked. My Zagat's is barely dog-eared." According to Dr. Pohl, GLIBB has no plans to perform a follow-up study, preferring to let their results stand on current research. "Let's face it, when it comes to scientific exploration, it's possible to have too much of a good thing," Dr. Pohl said.